The quilted wall-hanging is done! It is a gift for my daughter's friend who warned me she (the recipient) did not like blue/yellow (which I had planned to use). Instead we have bright greens, yellows and orange....and it is one bright, happy combination. 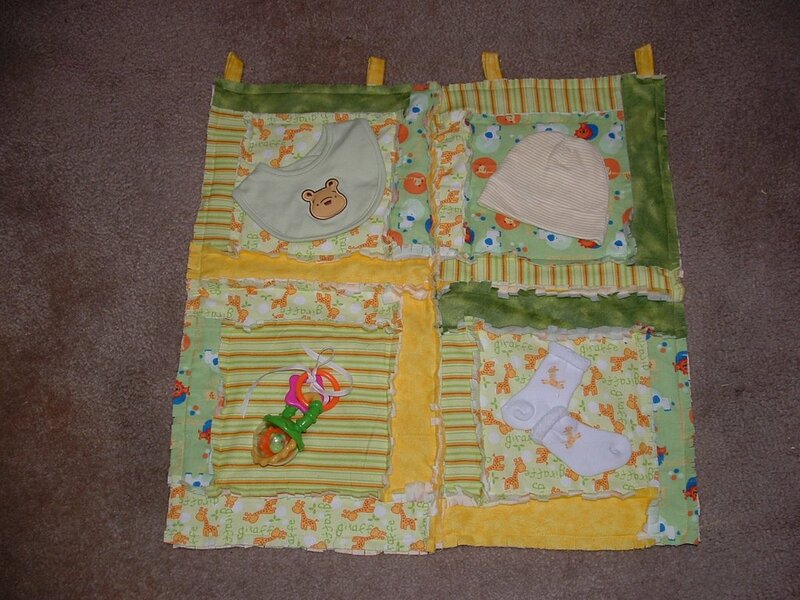 I used a white/yellow striped baby cap, a pale green bib with Pooh on it, a VERY bright rattle, and little white socks with tiny giraffes on it...they even go with the giraffes in the fabric! I put four loops on top and got her a white rod and braces so they can put it in Robert's room.